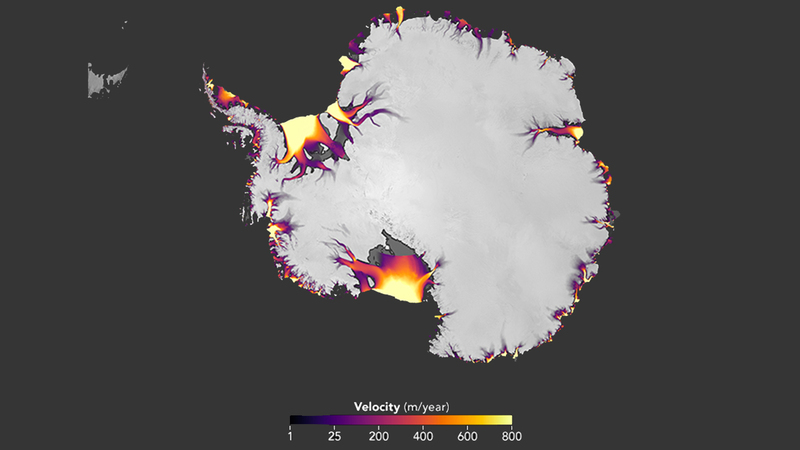 A NASA study confirms accelerating ice losses from the West Antarctic Ice Sheet and reveals surprisingly steady rates of flow from its larger neighbor to the east. The computer-vision technique crunched data from hundreds of thousands of NASA-U.S. Geological Survey Landsat satellite images to produce a high-precision picture of changes in ice-sheet motion. The innovative approach by Gardner and his international team of scientists largely confirms earlier findings, though with a few unexpected twists. Among the most significant: a previously unmeasured acceleration of glacier flow into Antarctica’s Getz Ice Shelf, on the southwestern part of the continent -- likely a result of ice-shelf thinning.